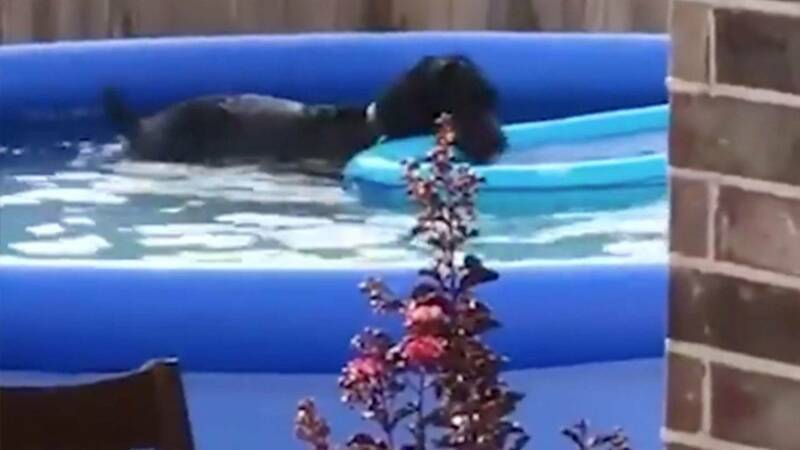 Jerry Gordon posted a video of his dog Baxter swimming in the family pool, and the look on his face when he gets caught is priceless. Gordon caught Baxter swimming, splashing and playing, but when Baxter realizes he’s being watched, he steps out of the pool like nothing’s happened. Baxter maintained eye contact with Gordon and then went about his day as his owner looked on.